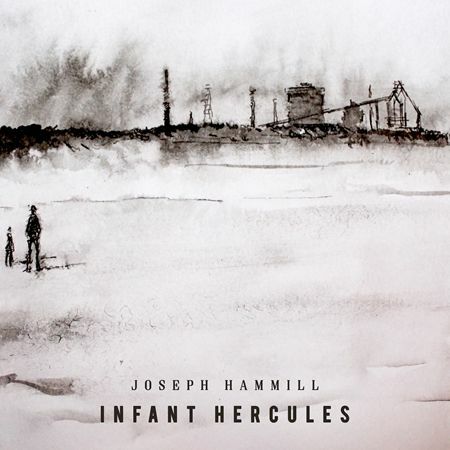 Joseph Hammill of Cattle and Cane releases his debut solo single, “Infant Hercules,” today as the lyrics appear on the new Boro shirts. What an amazing achievement and proud honour for the Thornaby singer songwriter and life long Boro fan. Inspired by the industrial heritage and history of his native Teesside, Infant Hercules has already become something of an unofficial anthem for the Tees Valley region with huge support from the local media. Furthermore, the lyrics will be printed inside the collar of every Middlesbrough FC home shirt created for the 2018/19 season. “To have my lyrics printed on the Boro shirt is a real privilege. That definitely wasn't something I thought would happen when writing it!” exclaimed Joseph. "I feel Teesside should be celebrated. There's so much in our history that we should be phenomenally proud of. I love the hard-working 'get on with it' attitude of this area and I tried to get that across in the song” said Joseph. "I like songs that make you want to push your chest out with pride. I hope people from Teesside and beyond feel that with this song,” added Joseph. "There's something about the area that you can't quite identify in words, I guess spirit would be the closest I can get. It’s not just locally that Infant Hercules seems to resonate, though. Playing it across the UK in places like Sheffield, Cardiff and Manchester too, you really sense that people embrace our spirit,” explained Joseph. 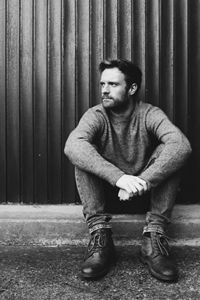 Being a previous recipient of both the prestigious Alan Hull Award for North East Song-Writing and the respected Graeme Miles Bursary, Joseph is building on the great tradition of North East storytellers, with Infant Hercules bringing to mind such luminaries as The Unthanks and much-missed Teesside troubadour Vin Garbutt. Whilst Joseph’s critically acclaimed band Cattle & Cane continue to prepare for the upcoming recording of their 3rd album, his new solo project will provide an outlet for his more traditional and folk-influenced tracks. Can the lyrics to this unofficial Teesside anthem inspire the Boro team to a promotion season?